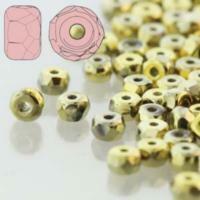 Czech Glass Fire Polished Micro Spacer Beads 2x3mm - Czech Glass Beads, Seed Beading. These beautiful softly faceted glass beads can be found in an abundance of colours, shapes, sizes and finishes. Czech artisans are well known for their beautiful beads, Czech Fire Polished beads offers consistency, style and a superior quality, making them a popular affordable choice for your jewellery designs. 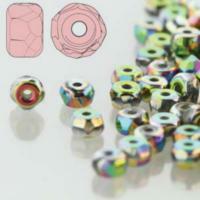 Our Czech beads are available in simple, classic transparent finishes or specialist iridescent rainbow coatings. These timeless beads will provide a wonderful shimmer and sparkle to all your handmade earrings, bracelets or necklaces.